Argentina is immersed in an economic, technological and social evolution. Globalization is increasin.. In recent years, Argentina has managed to sustain the growth of its economic activity. Characterized..
Argentina’s economy is trying to catch its breath and regain the growth that was in part lost by a..
Brazil is in a period of transition. With a CAGR of 2.5% over the past four years, the country had a..
Brazil has entered the era of technology in almost a single generational leap. Already, it is the th..
Any plans for strategic development of local or global brands within Brazil must recognize the major..
Today, Chile is one of the most developed countries in Latin America and is expected to continue to .. In Chile, the growing participation and empowerment of consumers is a hot topic. In fact, consumer c..
One of the most globalized countries in the region (in terms of international trade agreements), of ..
Colombia is considered to be a stable developing country, showing a CAGR of 4.1% over the past four .. In the last decade, Colombia has been considered one of the most interesting countries for foreign i..
With the country’s openness to international markets, its geographical location, and the plethora .. Important global players from all continents are increasingly attracted by Mexico’s market potenti.. According to data from every single international entity available, Latin America is the most unequa..
Mexico has recently seen a slowdown in growth, impacted by a sharp decline in external demand. 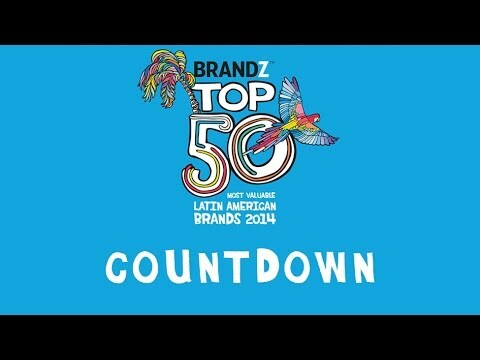 Showi..
FERNANDO ÁLVAREZ KURI VP Millward Brown Vermeer Millward Brown México Fernando.Alvarez@millwardb.. In this new ranking of Argentina’s most valuable brands, YPF takes first place once again, followe..
Argentina Key Facts Capital City: Buenos Aires Currency: Argentine New Peso Area: 2.78..
1.YPF YPF is Argentina's leading energy company and largest fuel producer. It operates a fully integ.. Following Argentina’s economic crisis in 2001, the country had – for nearly a decade – been st..
Football is an inexplicable passion in Argentina, and a part of its national identity. Not surprisin..
1. Skol Skol is Brazil’s most popular beer. Its marketing emphasizes enjoyment of life and appeal..
BRAZIL KEY FACTS Capital City: Brasília Currency: Real Area: 8.51 million km2 Populatio.. The trend observed in recent years in Brazil is the growing value of consumer brands, which are now ..
Brazil ended 2013 with a GDP growth of 2.3%, the second worst economic performance among the six cou.. Historically, the FIFA World Cup is a great arena in which brands expose themselves in order to win ..
CHILE KEY FACTS Capital City: Santiago Currency: Chilean Peso Area: 756 thousand km2 P..
During the economic crisis of 2009, Chile experienced a marked change among consumers. Buyers became..
Three years ago, Chile underwent another major change. For the first time since the return of democr..
We were so excited. Chilean football has changed radically over the last few years. International ma..
COLOMBIA KEY FACTS Capital City: Bogotá Distrito Federal Currency: Colombian Peso Are..
Critical to the success of any brand is the ability to empower people by making a difference in thei.. Thanks to a strong GDP growth, Colombia is one of the fastest growing economies in Latin America. Wi..
Colombia had to wait for 16 long years to obtain a ticket to the most important soccer event in the ..
PERU KEY FACTS Capital City: Lima Currency: New Sol Area: 1.29 million km2 Populat.. While the global scenario is led by brands related to technology and information, Peruvian brand ran..
For the last couple of years, Peru has shown not-so-encouraging results in comparison with those tha.. There is no doubt that a Football World Cup year is not a typical year. Even at the office, we purch..
1. Corona Corona was first launched in 1925. That same year its parent company Grupo Modelo began op..
MEXICO KEY FACTS Capital City: Ciudad de Mexico Currency: Mexican Peso Area: 1.96 .. If you google images of Mexico the results, I bet you, will be: beaches, pyramids, colonial towns, c.. The times of the “Mexican Miracle” in the late last century are somewhat behind us, but conditio.. The FIFA World Cup is the most widely viewed sporting event in the world – including Mexico, of co.. The world today is very different from what it was only a couple of decades ago, and these structura..
During the past years, we have seen many interesting changes in channels in Mexico, some of them as ..
Mexico's recent telecommunications reform has created a setting full of important challenges for the.. Technological change, the new Mexican telecom laws, and the incredibly fast adoption by consumers of.. 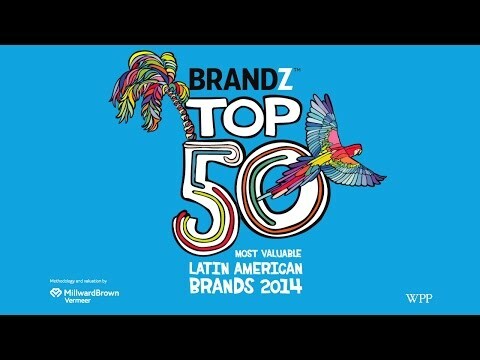 The Headline News Even though the BrandZ ™ Top 50 Most Valuable Latin American Brands 2014 decreas..
1. Águila One of Colombia’s best-known products, Águila has one hu..
1.Cristal Cristal is promoted as the Peruvian beer that celebrates national unity. W..
1. Falabella Falabella is the leading department store retailer in Chile. Falabella oper..